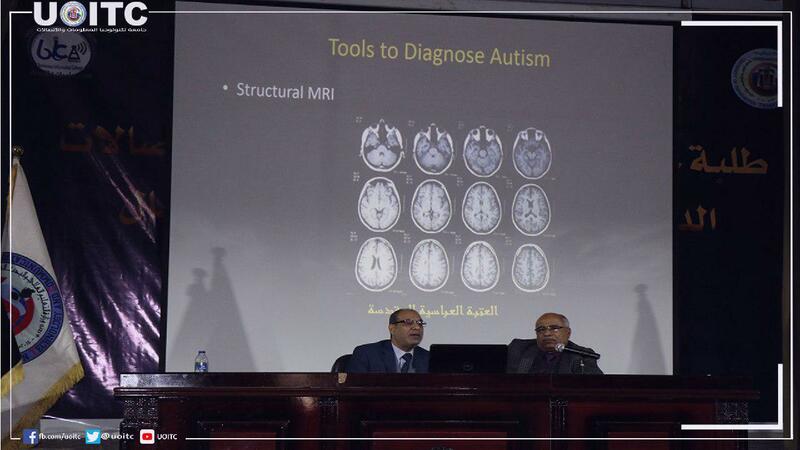 University Holds a Symposium about New Medical Diagnosis of Autism. University of Information Technology and Communications holds a symposium about New Medical Diagnosis of Autism in children. The symposium was presented by Asst.Prof.Dr. Mahdi Nasif and Asst.Prof.Dr. Sinan Naji AvdulAal, who introduced the outcomes of the scientific training course in which the UoITC was a participant, and sponsored by the Authority of Holy Shrine of Abbas, about (The Brain Mechanical X-Ray). The course hosted experts in medicine and technology from international universities and research centers. 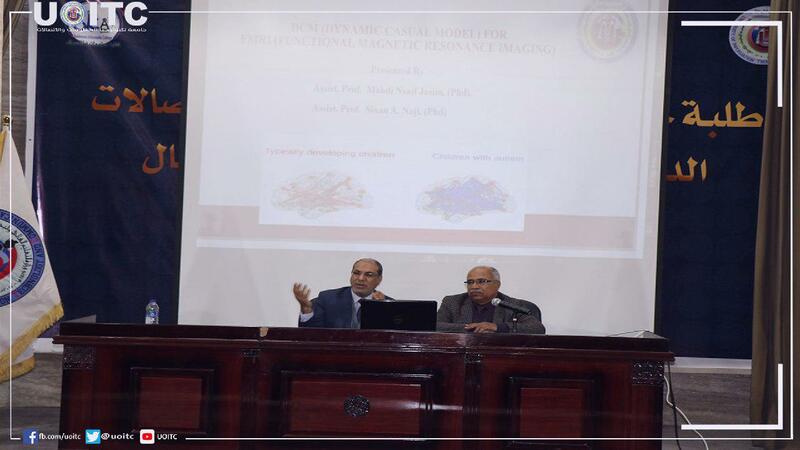 The participants from the university have pointed to the importance of this training course through which they learned to identify children with autism using (FMRI). They also put in details how to analyze output images from the latter device and tests applied to a group of ill children depending on showing some pictures in order to measure their responses and the way they use their natural senses, and then to know the amount water in brain during the test period using this brain mechanical X-ray. This computerized model gives advices to physicians and doctors handling cases of autism, or have medical decisions related to (brain tumors, brain fibrosis, behavioral disorder, Alzheimer and other brain diseases), where the modes analyses information to find a mathematical pattern describing brain areas (63) behavior and how the participate in responses to the tests. 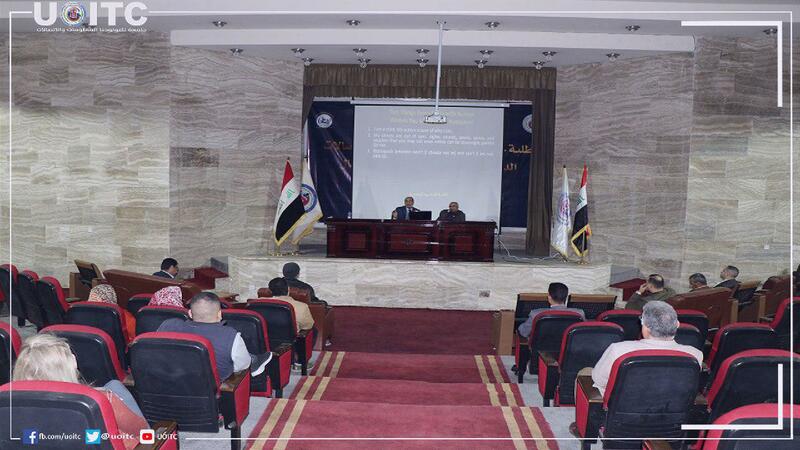 It is fair to mention that this training course was sponsored by the Authority of Holy Shrine of Al Abbas, and attended by more than 20 universities with various specialties in medicine, brain surgery, pediatrics, technology and psychiatric) including university of information technology and communications.